Folks may know Austin best for its endearing quirkiness and thriving music and food scenes, but we’re also 100% convinced that — between our fair city’s multitudes of intimate viewpoints and restaurants, hiking trails , and swimming holes — ATX ranks among the most romantic and adventurous cities in the U.S.
Adventurous types typically possess an innate, unquenchable drive to learn new skills and have new experiences. If you’ve connected with a kindred pioneering soul like yourself, we’re thrilled for you because that means you now have an enthusiastic adventure buddy who’ll probably almost always want to explore Austin — and life — with you. Y’all should totally start by taking a class together. Pick an activity that neither of you have tried but have both always wanted to learn, such as mixed martial arts at The Mat, pottery making with Feats of Clay, or wine tasting through The Illuminated Bottle. You might just pick up a shared hobby, or if you hate it, you’ll be able to laugh about it later. Either way, it’s great bonding time! Similarly, since chances are good that you’re going to want to share a meal at some point during your date, why not dine completely out of your comfort zone by selecting a restaurant featuring a food genre you’ve never tried before. Austin’s vibrant food scene presents plenty of opportunities to expand your pallet, so get adventurous and chow down on something totally unconventional at a food trailer park or something off of Torchy’s secret menu. Yes, branching out like this might mean that you seriously hate what you order, but instead of viewing the experience as a waste of your time and money, choose to see it as a win because you opened yourself up to something new! Besides, you could also totally love it and discover a new favorite restaurant or dish. "I can't promise to solve all your problems, but I can promise you won't have to climb them alone". Grab a partner and hop on the new north wall set. Just how much do you trust your significant other? You can find out easily by pursuing indoor or outdoor rock climbing together through one of Austin’s three amazing climbing gyms: North Austin Rock Gym (NARG), Crux Climbing Center, and Austin Bouldering Project (ABP). Crux is the place to go for traditional rope-and-harness climbing. There, you’ll be able to learn how to belay your partner with guidance from a certified instructor during a three hour class. Climbing high while knowing that your love literally has your life in their hands will absolutely expose your current level of faith in them and build more of it when they keep you safe. NARG and ABP both offer indoor bouldering — low height solo climbing above cushy, high-impact mat flooring. It’s the perfect environment for friendly competition and practicing encouraging and supporting bae regardless of how he or she performs. NARG also offers sophisticated outdoor guiding if you’d like to hone your monkeying skills out in nature! Longtime residents will testify that living in Austin means having access to limitless exploration opportunities. You could live here for decades and still be discovering amazing food trailers, quirky local boutiques, and beautiful dog-friendly parks on the daily. 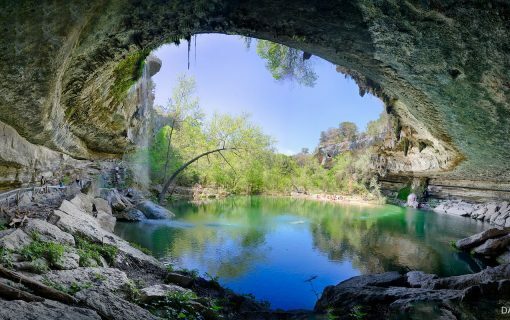 In that spirit, if you haven’t yet biked along the shores of Lady Bird Lake, hiked the entire Barton Creek Greenbelt, or ventured even farther west to experience an amazing natural landmark like Enchanted Rock State Natural Area, consider packing a cute little picnic lunch into a small backpack, lacing up each others’ hiking boots, and exploring the great outdoors together. 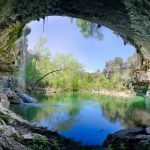 You may already know this, but it’s still an amazing fact to know: Austin and its surrounding communities boast some of the most pristine natural swimming holes and bodies of water in Texas. Unless you or your significant other is particularly self conscious, swimming can be a super romantic way to spend some quality time together. Start an adorable splash war, share a kiss under a waterfall, or if you’re with friends or out on a double or triple date, have couples pair up for chicken fights. Or for a different vibe that’ll still allow you the opportunity to cool off together, consider catching a summer swim-in movie screening at Deep Eddy Pool. As co-adventurers, you probably have an Austin bucket list, right? 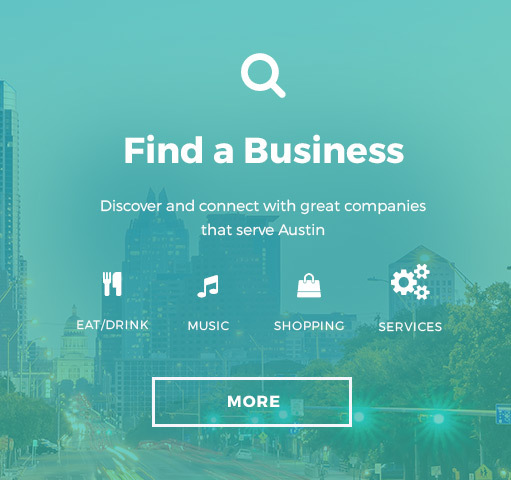 Well, in the spirit of actually having those desired experiences and literally seeking out opportunities to broaden your horizons, we definitely recommend that you visit and take selfies at all of Austin’s most scenic viewpoints together — either on one date or a series dates. 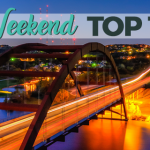 While downtown, visit the Pfluger Pedestrian Bridge, the Congress Bridge, the South 1st Street Bridge, Zilker Park, UT Tower, and the Long Center‘s hilltop patio to see classic views of Austin’s skyline and Lady Bird Lake. 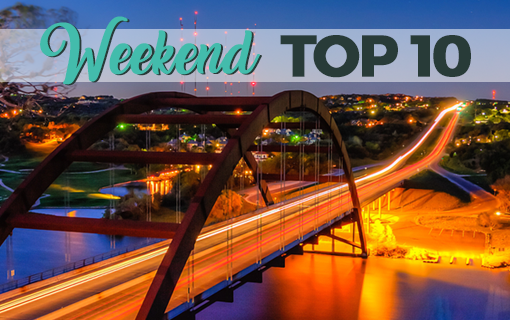 For sweeping Hill Country views and perfect opportunities to watch sunsets, admire stars, and even propose, you should head to Mount Bonnell and the Loop 360 Overlook. Even though you’ll have to buy something to gain access, The Oasis and County Line on the Hill definitely should not be discounted as overlooks, since both eateries provide patrons with amazing views of Lake Travis and some of Austin’s most beautiful western neighborhoods. And finally, don’t forget HOPE Outdoor Gallery. The top level of the three-story graffiti park provides a lovely perspective of downtown, but keep in mind that the whole operation will be moving soon, so do this one soon! MilkyWay this morning over Dripping Springs. Keep the aforementioned viewpoints in mind for our next suggestion. Very few activities are more romantic than finding a quiet, starry spot, laying out a blanket, and admiring the night sky with your beloved. If you’re willing to put your phones away and focus just on each other, you might even have one of the best talks you’ve ever had in your relationship. Be sure to check out our comprehensive guide to Austin area stargazing for advice about the best viewpoints and how to ensure optimal visibility. Now, you can also take things a step further by extending your stargazing adventure to a camping trip. As outdoor enthusiasts, we cannot emphasize enough how sweet and fulfilling sleeping out under the stars together can be, provided that both parties enjoy the outdoors. For suggestions about where to camp in ATX and in surrounding state parks, read through our state park guide. Did you know that Austin is home to the longest and fastest zipline in Texas, thanks to a Leander company named Lake Travis Zipline Adventures? As far as we’re concerned, one of their three hour zipline tours seems like the perfect way to spend an afternoon with someone amazing — especially since they provide their guests with all the necessary gear and transportation to and from the course, plus water, yummy trail snacks, and access to their private beach. Stretching more than 2,800 feet long, their biggest line, the “Grand Finale,” starts 20 stories up and speeds patrons over a section of Lake Travis. And they even offer “Night Flights” during full moons — omg! 9.) Take to the skies! A decently fun date idea for two explorers looking to see and learn more about Austin would be to sign up for a tour, such as a guided tour in an amphibious vehicle through Austin Duck Adventures, a Gliding Revolution segway tour, or even something a little spookier like a ghost tour through Haunted ATX, which transports guests in a legitimate hearse limo. 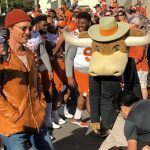 However, we think the ultimate way to appreciate Austin in all of its grandeur is by viewing the city from the air through a plane tour company like Austin Biplane. In particular, Austin Biplane offers two date night packages that we love: their 45-minute “Sunset Champagne Flight” over Austin and Lake Travis, and their 5-hour “Ultimate Date Night” package, which includes dinner and chauffeur service. And finally, Austin’s most exhilarating date has to be skydiving. You’ll have to drive out to Lexington, San Marcos, or Luling for traditional, jump-out-of-a-friggin-plane skydiving. 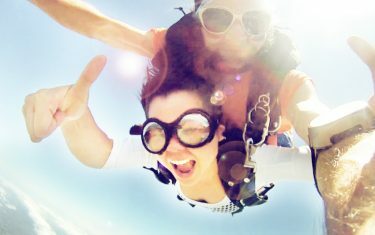 However, for lovebirds looking to stick a little closer to home and still experience a similar adrenaline rush together, we recommend indoor skydiving in iFly Austin‘s state of the art wind tunnels. 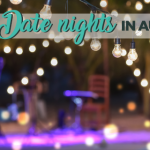 So go on, take that leap of faith and experience these 10 exhilarating Austin dates with your significant other. Once you’ve exhausted these, be sure to knock out all of the recommended activities included in our North Austin, South Austin, East Austin, and West Austin city guides too. And remember, in many ways, you’ve already embarked on the ultimate adventure just by being together! Featured photo by Rebecca L. Bennett.